It's not a celebration without art in some fashion or another. Dal's 200th year was no exception. 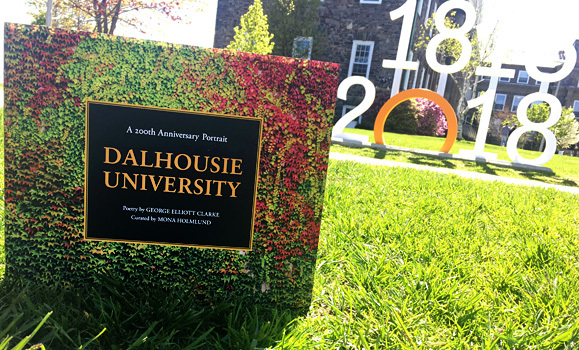 Several different works were commissioned to help mark the university's anniversary — some offering insights and new perspectives on Dal's past, some pointing to the future, and others doing a little bit of both. They offered opportunities for reflection, contemplation and — above all else — celebration. 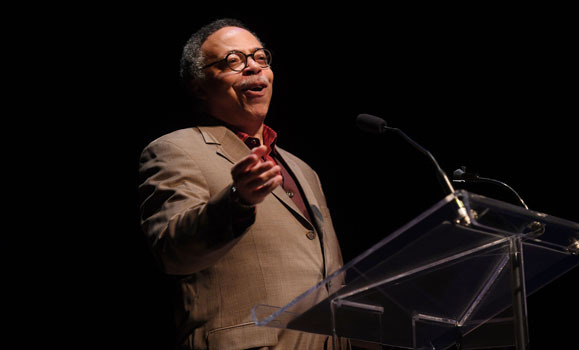 George Elliott Clarke's epic poem about the university's history — nearly 4,500 words long — formed the foundation of February's Bicentennial Launch and was performed by Clarke several times through the year with Dal pianist Tim Crofts. Playwright Gillian Clark (BA (Theatre)’13) created Drums and Organs, a new theatrical creature inspired by Mary Shelley’s Frankenstein — a book that, like Dalhousie, turned 200 years old this year. 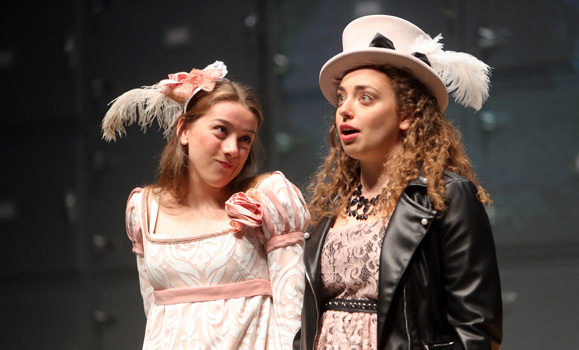 It debuted as the final theatrical production of the Fountain School’s 2017-18 season. "Drums and Organs was a highlight of my time in the Acting program at Dalhousie. It was a privilege to work on a brand new piece of theatre in such a collaborative way to celebrate Dal 200. The team behind the show was massive and a lot of hard work went into it. The story addresses many different issues but to me the foundation of it was love. I think it was a show that resonated with the audience extremely well because it was set in Halifax. There was something everyone could relate to, they could see a piece of themselves on stage. Drums & Organs will forever be in my heart." — Lindsey Ross, Fountain School grad, Class of 2018. 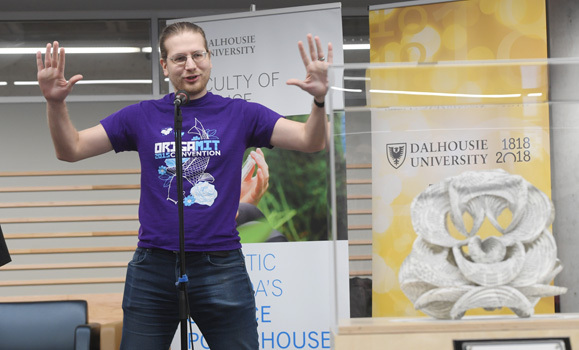 Renowned grad — and Dal Original — Erik Demaine (BSc'95) gave the university a unique gift of art and science for its anniversary year. The MIT mathematician and his father created a curved-crease sculpture to honour Dalhousie's bicentennial celebration. "We were blown away when we first saw 200 Circles. Erik and Martin Demaine graciously invited our ideas to help shape their creation, which resulted in the use of pages from The Lives of Dalhousie University Volume One. Erik’s return to campus almost didn’t happen because a winter storm was hitting both Boston and Halifax at the time. Despite last-minute travel changes to work around a cancelled flight, he made it here happy, cheerful, and on time! Everything we had heard about Erik was true—he’s a big kid at heart who finds a way to make anything fun." – Niecole Comeau and Jocelyn Adams, Communications Officer and Alumni and Donor Relations Officer, Faculty of Science). And visit our 200th anniversary page to revisit all our Dal 200 stories.